Experiments have been done using temperature loggers to find out what the temperature is doing. One of our customers picks and transports fruit across Australia. They pick fruit in the morning, place the fruit in cartons then palletise it and place it into cool rooms. The pallets were stacked as 12 cartons to the row and 3 rows high. To find out how efficiently the fruit was being cooled, they used OnSolution temperature loggers placed into each carton of several pallets spread across a cool room to see the time taken to cool the fruit to the required 5°C. At the beginning of the experiment the fruit was 21°C. The pallets were placed into a cool room which was set at 2°C cool room at 9am. The outer most carton of each of the pallets was cooled to 5°C by 11am, which was 2 hours of being placed into the room. They were expecting the remainder of the carton to cool quickly after that. To their amazement on downloading the results, they found that the innermost carton took an additional 18 hours to cool to 5°C. It was 5am the following day when the innermost carton had cooled to their desired temperature. This was 3 hours after they would have been normally transporting their stock. They did not believe the very slow rate of cooling for these cartons, so repeated the experiment. The same results were achieved. Since then they have altered their procedure for the stacking of the fruit cartons in the cool rooms, so that efficient cooling is achieved. 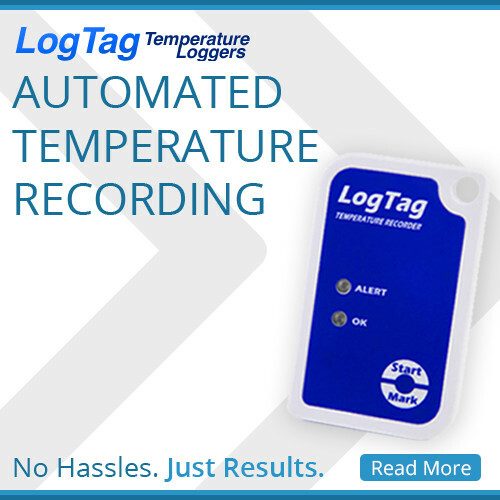 Small temperature data loggers placed into cartons was the simplest and easiest method to obtain these results. See OnSolution’s range of small temperature loggers.